The Chicago Book Online Business Profile -- Quality Screw & Nut Co.
QSN's founder, Art Wondrasek, built the company from a garage based business to an international presence. Quality Screw & Nut Co. I magination is more important than knowledge. That wonderful statement from the mouth of Albert Einstein rings true in the spirit of American capitalism perhaps more than anywhere else. Imagination truly is important in a world where competition reigns supreme. Imagination has built countless Chicagoland businesses. 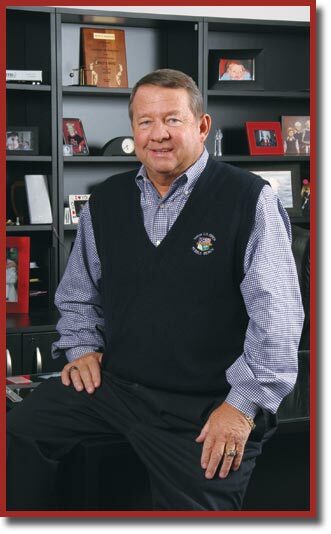 One of them is the Wood Dale based Quality Screw and Nut Co., founded by Art Wondrasek. But, imagination only goes so far. In a business environment that continually changes, using both imagination and knowledge are not only important, but they are also critical if a company is to grow. And grow is what QSN has done. Wondrasek imagined the kind of company that would truly work in today's marketplace and nurtured it with both the sunlight of imagination and the waters of knowledge. The company, which he planted in a garage in 1977, now boasts 15 branches and a 20 percent annual growth per year - all in a work environment that is the envy of most Fortune 500 companies. QSN started as a distributor of fasteners, but the company quickly grew into a manufacturer as well. Part of their success came from the fact that they understood distribution before they began manufacturing. "We completely understood the needs of the people we began to manufacture products for," says Art Wondrasek. Presently, QSN has the capability to manufacture a full line of standard fasteners, as well as any special fasteners that are needed by present and future customers. QSN is in the customer service business and will custom design any part for the clients. Mr. Wondrasek relates, "A company can come to QSN for all fasteners and related c-item components, such as clips, plastic ties, valves, nuts, etc. This allows a company to spend less time seeking out different c-item components for their product. We can do it all for them. It is extremely convenient and cost effective for our clients." If there is a part that a client needs that is not manufactured by QSN, they are able to find it immediately because of their tremendous supplier base. In a global economy where one stop shopping rules the retail world, businesses want to enjoy this same kind of convenience which QSN successfully provides. QSN acquired National Threaded Fasteners in 1990. The company had to grow quickly to keep pace with an ever growing demand for its products and distribution. The company was forced to immediately relocate production to a brand new 80,000 square-foot facility, add 42 employees, and 120 new pieces of production equipment. Over the course of the last 16 years the company has continued to grow at an impressive rate. QSN is now a 125 million dollar a year business with a 200,000 square- foot facility and 15 branches. The truly ingenious aspect of the company is that it is virtually recession proof because it has no dependency on one particular industry. Thus, it is not vulnerable to downturns in the economy. QSN also keeps a watch on the financial health of its clients. To support the health of their clients, they purchase stock from each client company. In this way, QSN promotes a healthy community, where both they, and their clients can continue to succeed. QSN has also added 30-40% more business by creating excellent global positioning in an industry where they have no serious competition. This is because they do it better than any one else, while making it much more convenient and cost effective for their customers. QSN has a testing lab in Taiwan and out sources part of their manufacturing to plants in Taiwan, China, and Thailand, while much of the manufacturing remains in the United States. They keep prices down for their clients by using a blended price philosophy and still assuring customers that their products are #1 in quality. As a result, they are able to keep clients as large as Whirlpool and Lucent Technologies. QSN provides total support for the client by providing assistance with inventory management, timely deliveries, and by being a single-source supplier for their customers. Presently, QSN is proud to be a licensed manufacturer of the ACR Phillips II drive system, which is a fastening system that has taken the industry by storm. It is a fastening system that ranges from production lines to home tool boxes. QSN also is the exclusive source for a High Torque Fastening System, which eliminates the need for all external fasteners. The building that houses the main offices of QSN sits in Wood Dale, Illinois and is majestically ensconced with a stainless steel QSN atop the structure. The interior of the building is a place where employees can be comfortable in their work environment. QSN is highly concerned with the welfare and well being of its employees. The company has virtually no turnover in staff, which has contributed to the creation of a stable and successful, privately held company. The flat line approach which Wondrasek applies to his business model structure is what he believes is responsible for this. "We have no VPs, and no employee carries a title, so there is no jealousy. Our employees are intelligent people who all know their job and everything is done by function. Everyone can multi-task and is cross-trained. If someone goes on maternity leave there is no ripple in the business," Wondrasek says. QSN also makes sure employees are well taken care of by providing great benefits and a 401K matching plan. As the company grows, jobs grow. Therefore, QSN can provide employees with many opportunities to move up the ladder with hard work and intelligence. While most CEO's work 80- hour weeks and expect their upper-level employees to live at their jobs, Mr. Wondrasek again has a different, and healthier philosophy. "We maintain a five-day work week, sometimes six, depending on if we are in a cycle and if we are in need of a little over-time. People can get burned-out very quickly. Everyone needs to have time away from their job," Wondrasek notes. But he does confess to taking some reading home with him from the office - because there is always more to learn. With a standard unheard of among most current business leaders,Wondrasek insists that his assistant puts through all of his phone calls. He says, "If someone has a reason to call me, I want to hear what it is they have to say. He exudes a belief in both his company and his clients. He confirms, "We have proven that our business plan has created a solid company and an opportunity for our employees to succeed in the future... We never look back."